Learn how to delete a customer from your Customers table and what happens when a customer is deleted. 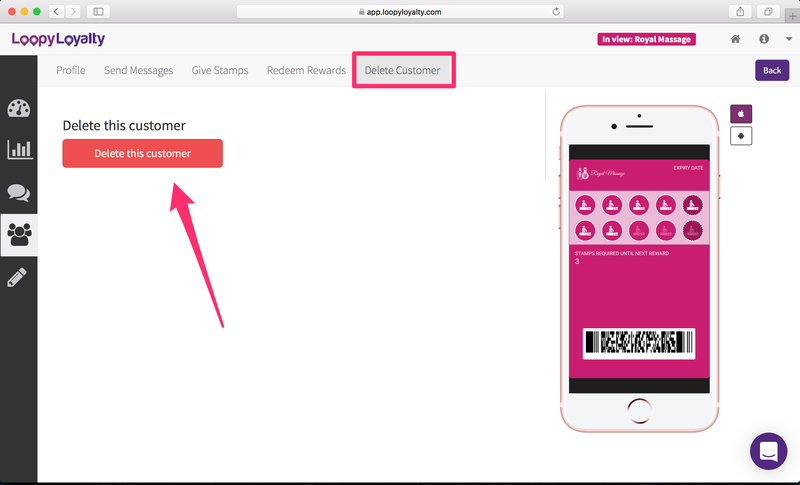 You want to remove them from your loyalty program and prevent them from earning stamps/rewards. 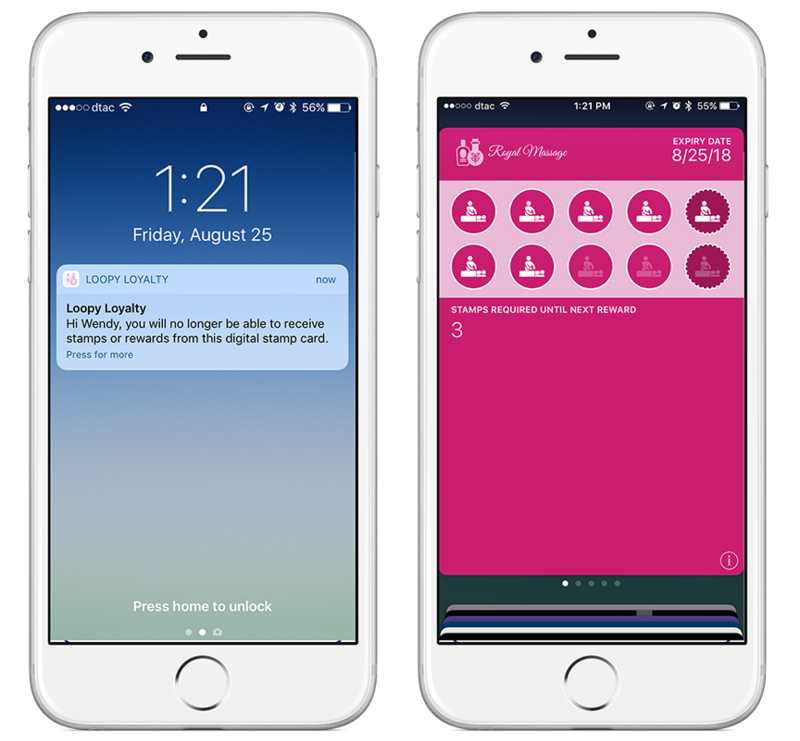 Go to your Customers' page in Loopy Loyalty. 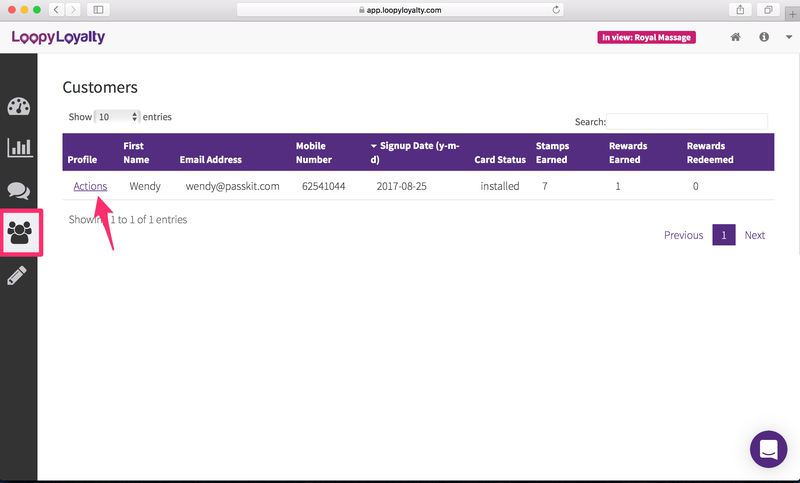 Find the customer you want to delete and click on 'Actions'. Click on 'Delete Customer' at the top of the page and click the button 'Delete this Customer'. 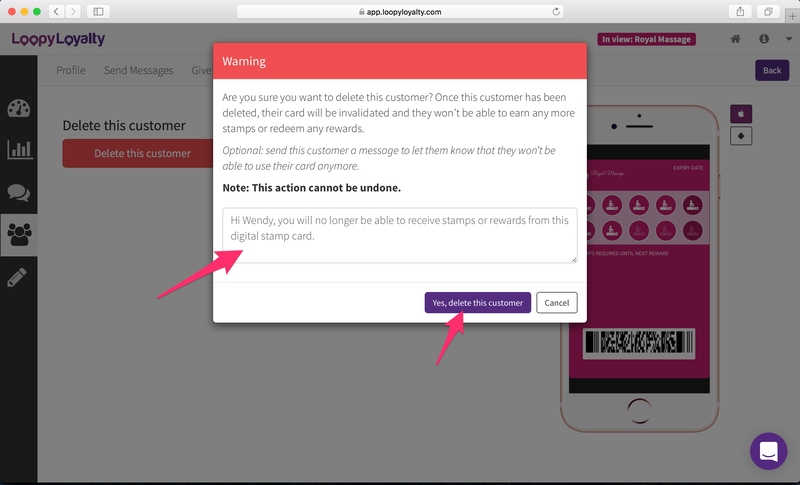 When you delete your customer, their card will be invalidated (barcode removed) and that customer will not be able to earn any more stamps or redeem rewards. Optional: you can also write a message to that customer to let them know that they won't be able to use their card anymore. Note: deleting a customer is irreversible and cannot be undone. Click 'Yes, delete this customer' to confirm that you want to delete this customer. You will receive a notification to tell you that you've successfully deleted this customer. This customer will also be removed from your Customers table. If you sent a message to the customer upon deletion, they will receive a lock screen message like the one below. Their card will also be invalidated and their barcode will be removed. 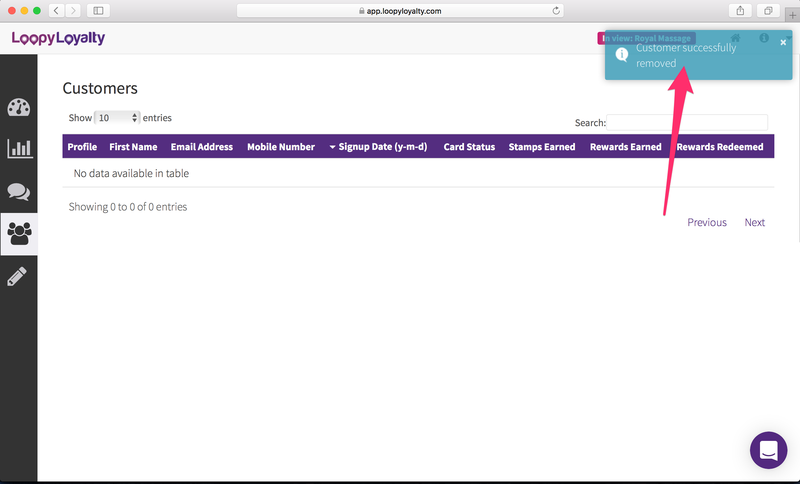 What happens if my customer took a screenshot of their card prior to the invalidation and tried to use it in my store? Not to worry at all! An error message will appear in the app telling you that you cannot add/deduct stamps or redeem rewards.